The property is a delightful, tastefully decorated 3 bedroom cottage having been refurbished when we bought it. The property has a modern kitchen with all the amenities and utilities that you will require. There is a separate dining room with seating for 8. The sitting room is adjacent with two comfy sofas and two armchairs. There is also the addition of a sunroom on the side of the property with sofas and chairs so you can relax with your wine in the evening sun. Upstairs there is one bedroom with a king size bed, a further bedroom with 2 divan beds and a further bedroom with 2 single beds. Each bedroom will have its own bathroom with a shower, wc and washbasin, plus bathroom 1 has a bath. There is a separate loo and washbasin downstairs. There is a Washing machine, tumble dryer, large freestanding fridge/freezer and a separate fridge, wash baskets, iron and ironing board, hoover etc. Cleaning / Towels / Linen / Maid service: Towels and bed linen are provided, changed on a weekly basis unless requested otherwise. Outside: Easily maintained private garden with outdoor furniture and summer house 2-3 car parking spaces in the driveway. 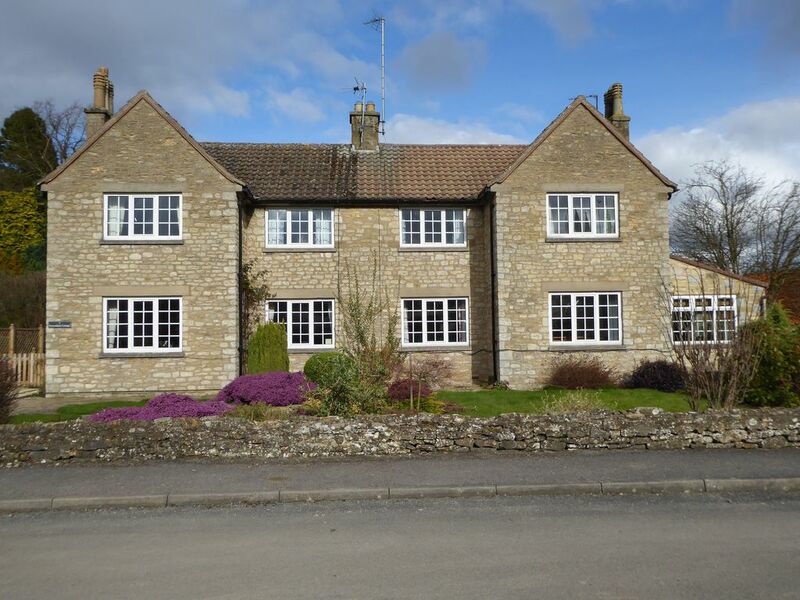 It is a lovely homely house, great for couples, families and small groups, who want to explore North Yorkshire. Well behaved dogs are allowed . english, Pigeon French and Italian! Hi I am a busy mother of 3 boys, dogs, cats and ponies. I spend a lot of my time on the rugby touchline or other sporting fixtures. When I get the chance I run or ride accompanied by the dog, swim, cycle and compete in the odd triathlon. I am always on the go! We moved to Yorkshire when my third son was on the way as we fell in love with the county and have now been here 14 years. We do not plan to leave! One of the keys things mum realised when she was renting another property in Helmsley was that the property must be within 1-2 minutes from the centre and had to have off street parking, as in the summer it can be difficult to find places to park in Helmsley and there is nothing worse than coming back and not being able to park outside your house! Toilet, Sink and Shower run off a combo boiler, so continuous hot water. Tea, Coffee, sugar, flour, oil, salt and pepper. Just as when buying a home “Location, Location, Location” is everything so it is when choosing a holiday let and we certainly achieved that when we found Stone Garth in our #1 holiday destination - Helmsley. Location: Positioned off Canon’s Garth Lane behind the Church of All Saints Stone Garth is ideally located just a two minutes walk away from the Market Square through the churchyard, be it for the morning newspaper, or to a favourite coffee shop, pub or restaurant - all three of which are well represented in Helmsley. Location: Helmsley is the gateway to the North Yorkshire Moors positioned in its south west corner. Just outside the National Park are the two market towns of Thirsk and Malton while Kirkbymoorside, Hutton le Hole and Pickering are three interesting communities along the A170 which forms the Moors southern boundary. The Moors themselves are a vast area of spectacular scenery and walking country. Not forgetting Castle Howard and numerous NT properties. Location: Helmsley is also ideally placed for the North Sea coast being just under an hour away from Scarborough [A170] or Whitby [A170/A169]. With no apologises for sounding like the local tourist board but we love the area and have used Helmsley as a base for many years, for both spring and autumn breaks. Feversham Cottage 1 Stone Garth provided an excellent base for our fortnight’s autumn stay. The house is very well provisioned, all rooms are a good size and efficient central heating means the house is very cosy. It’s location means that the property is very peaceful, completely undisturbed by passing traffic or over-enthusiastic revellers. The sleeping arrangements are excellent and the beds are very comfortable. Amanda proved to be an attentive owner, eager to ensure our stay was unaffected by any problems. Lovely house in a lovely town. We enjoyed our family holiday very much. Gemütlich eingerichtetes Haus, wunderschöner Garten mit vielen netten Sitzecken. Comfortable, clean and excellent location. Lots to do in and around the town including the Helmsley open-air swimming pool. A lovely house offering home from home comforts, everything you could want in a holiday cottage. Great location only 5 minute walk from centre, and an excellent location to explore North Yorkshire. One of the nicest holiday houses we have ever stayed in. Beautifully decorated and very welcoming. We hope to come back next year and stay again. The International Centre for Birds of Prey is situated in Duncombe Park only a short walking distance from the house. This is open daily from 1st February to 24 December 10am to 5.30pm (or dusk if earlier) There is the Helmsley Heated Open Air Swimming Pool also a short walk away. Helmsley Art Centre shows films and hosts Art Exhibitions. Slightly further afield is the Ryedale Folk Museum, Castle Howard, North Yorkshire Moors Railway, Yorkshire Lavender, (open March to October 10am-5pm) and countless other attractions too numerous to mention. It goes without saying, that this is the most perfect spot to start out for the day walking close by from the house or up on the Yorkshire Moors . Stop for a relaxing lunch at the many pubs situated in the villages or take a picnic. A great way to unwind!